Redundancy for church buildings, when they have architectural merit, can create serious problems, with appropriate new uses often hard to find. St John’s in Lower Bemerton clearly had that merit, both in its contribution to the street scene and in its characteristic C19th interior, with some fine stone carving. 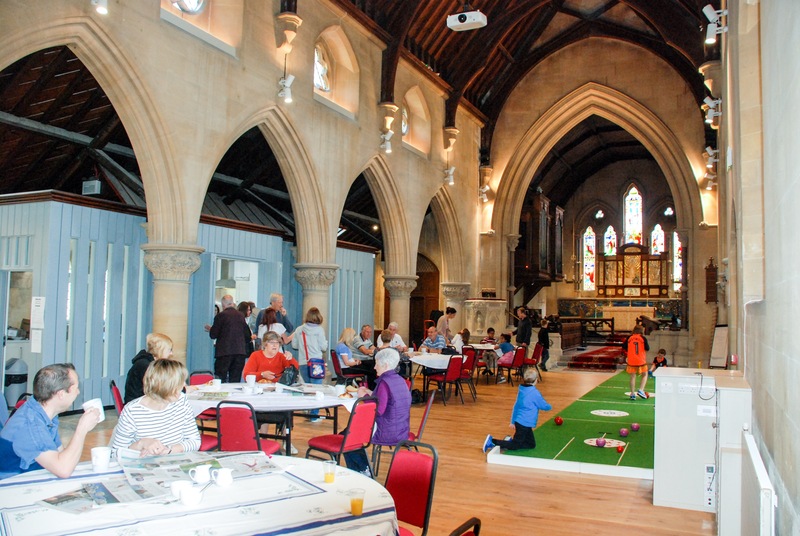 Conversion of the nave to a community venue, with associated use by the school just over the road, had clearly been the sort of solution the church needed, and the judges were delighted to find that it had been carried out with commitment and due attention to detail. The continuation of an existing moulding, round new timber structures neatly inserted into the north aisle, was a very good indication that a lot of trouble had been taken to effect the change without compromising the building’s essential merits. A modest extension at the west end, to add further facilities, had been well-handled, with brick seen as an appropriate choice for material, particularly as care had been taken to select one with a mottled appearance which picked up on adjacent stonework. The contrast between the unchanged chancel, with its busy and varied decoration, and the simple uncluttered feel of the nave was a particularly effective one, emphasising the success of the whole project. The fact that it had only been achieved with a great deal of community involvement further added to its merits.